Corneal transplantation, is a surgical procedure where a damaged or diseased cornea is replaced by donated corneal tissue which has been recently removed from a donor having no known diseases. 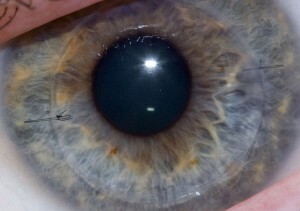 The cornea is the clear part of eye in front of the iris and pupil. The cornea is made of several layers which are designed to maintain transparency. The cornea can lose transparency with subsequent loss of vision as a result of disease, trauma or infection. Transplantation technique will vary depending on the nature of the affected cornea. If the back layer of the cornea is affected, a thin layer of tissue is removed and replaced with a donor layer known as endothelium, using a technique known as Endothelial Keratoplasty (DSEK). If the front layer is affected, the patient is then able to retain their own endothelium using a technique known as Deep Anterior Lamellar Keratoplasty (DALK).
. Optometrist Website Design. Accessibility Policy.